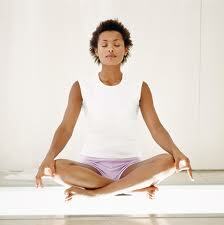 "To meditate does not mean to fight with a problem. To meditate means to observe." But what many people don’t realize is that meditation is perhaps the most important habit if you want to change other habits. How do you learn to be mindful of your negative thoughts? Simple: you practice. And how do you practice mindfulness of your thoughts? By far the best method I’ve found is meditation. Let’s look at why meditation is so good for helping to change your habits, and how to form the meditation habit. When I quit smoking, I would get an urge to take just one drag on a cigarette, and it would get so strong I had a hard time beating it. At the same time, I had these rationalizing thoughts: “It’s OK to smoke just one — one cigarette doesn’t hurt you”, or “Why are you making yourself suffer like this? It’s not worth it!” And those thoughts and urges would have beat me if I let them, but I watched them. I didn’t act, I just watched. And the would rise and crest and then fade, and I would be OK. When I started running, I wanted to stop when things got uncomfortable. But I learned that it was just a scared part of my mind that wanted to stop, a part of me that shied away from discomfort. I would watch that scared part of me, that makes me quit anything hard, and not let it control me. When I write, I often get the urge to go do something else. When this urge goes unnoticed, I just act on it, and procrastinate. When I am mindful of this urge (and the accompanying rationalizations that come if I don’t act on the urge), then I can pause and watch the urge and let it go, and return to the writing. This same process helped me change my eating habits, run a marathon,change my clutter habits, and much more. But none of that would have been possible if I didn’t learn to watch, to be mindful of my urges and rationalizations and negative thoughts that told me I couldn’t do it. How did I learn to watch and be mindful? Meditation. It is the one habit where all you’re doing is practicing this mindful observing, where everything else is stripped away in a beautiful simplicity that leaves just you and your thoughts and the present moment. Commit to just 2 minutes a day. Start simply if you want the habit to stick. You can do it for 5 minutes if you feel good about it, but all you’re committing to is 2 minutes each day. Pick a time and trigger. Not an exact time of day, but a general time, like morning when you wake up, or during your lunch hour. The trigger should be something you already do regularly, like drink your first cup of coffee, brush your teeth, have lunch, or arrive home from work. Find a quiet spot. Sometimes early morning is best, before others in your house might be awake and making lots of noise. Others might find a spot in a park or on the beach or some other soothing setting. It really doesn’t matter where — as long as you can sit without being bothered for a few minutes. A few people walking by your park bench is fine. And that’s it. It’s a very simple practice, but you want to do it for 2 minutes, every day, after the same trigger each day. Do this for a month and you’ll have a daily meditation habit.